Redeem your code and get your voucher today! Outstanding Reliability, Quality and workplace productivity form the basis of the MP C3004. This is a 30 page per minute, high-end Multifunction Printer and by far our most popular unit. The large “Ricoh specific”, android touch screen enables enhanced printing and scanning of documents while remaining easy to use. As with everything Kopikat, the quality and technology in the background allow us to keep it simple. The greatest assets to a business are those which perform consistently all year round and the Ricoh MP C3004 is no different. 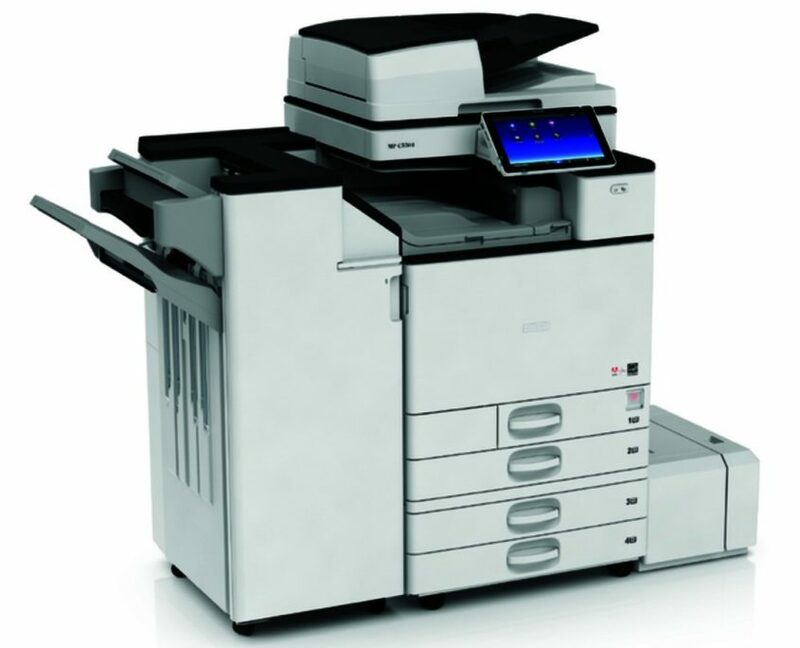 Running quietly in the background, it comfortably handles all your office needs; printing and copying in colour, organizing document sets, scanning and distributing information and processing fax messages.